We are leading manufacturer of All Kinds of Temperature Sensors and also work on developing new Custom designs as per Applications. Our precisely manufactured, and Plug-in RTD PT100 Temperature Sensor is widely appreciated for their sturdy construction, reliability, and durability. Widely used in temperature measurement in plastic industries for injection moldings, blow moldings, exclude combustion engines bearings, these sensors can also be customized according to the client's requirements. We offer these sensors at highly affordable and reasonable prices. We are one of the leading organizations engaged in delivering our clients with best series of Temperature Sensors. We manufacture this using quality certified raw components sourced from trusted vendors. Being one of the prominent names in the market, we have come up with the broad range of High Temperature Sensors for our customers. These products are offered to the clients at very reasonable rates. 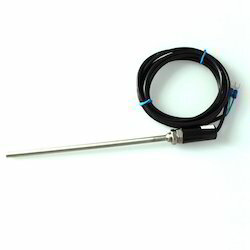 Keeping in observance the precise desires of patrons, we present a high quality of Flameproof Temperature Sensors at very reasonable price. 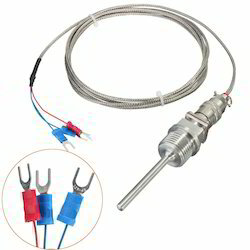 As a reputed entity of this arena, we are devoted towards providing top quality of Vehicle Temperature Sensors, delivered in recommended time frame. Including PT-100, PT-1000 Sensors. Amongst the chief organizations of this domain, we are occupied in providing Platinum Temperature Sensor to our clients, which is highly demanded in the market. 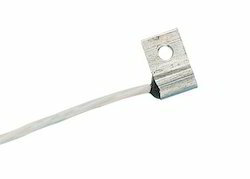 Thermistors are inexpensive, easily obtainable Thermistor Temperature Sensor. They are easy to use and adaptable. Circuits with thermistors can have reasonable output voltages - not the millivolt outputs thermocouples have. 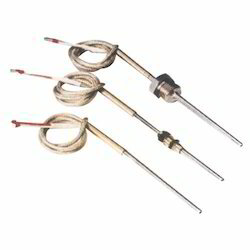 Because of these qualities, thermistors are widely used for simple temperature measurements. They're not used for high temperatures, but in the temperature ranges where they work, they are widely used. 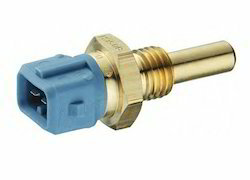 We are among the reputed organizations, highly engaged in providing an optimum quality range of RTD Temperature Sensor. Our offered sensor is widely acknowledged among our clients for its high sensitivity and precisely designed features. The provided sensor is well manufactured using the modern technology. This sensor can be availed by our precious clients at most competitive price. Moreover, to provide the best quality, this sensor is strictly tested by our quality experts on several quality parameters. We are engaged in offering the best quality of Temperature Sensors, which are manufactured using high-grade material and highly tested for their quality assurance. 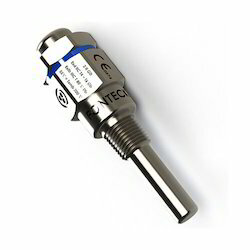 The offered Temperature Sensor is extensively used in diverse applications such as food processing. Further, these products are available in the market in bulk. We have come up as one of the highly regarded entities engaged in manufacturing of (resistance temperature detectors) RTD Sensor. Our customers can buy this from us in bulk requirements. 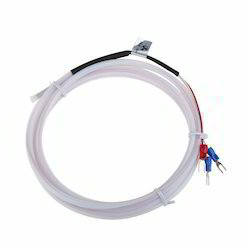 Being a customer-oriented organization we are sincerely engaged towards offering our customers with quality tested assortment of (resistance temperature detectors) Cable Type RTD Sensor. 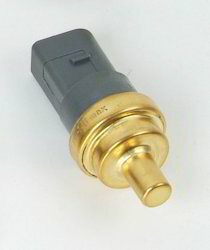 We are among the reputed organizations, highly engaged in providing an optimum quality range of RTD PT830 Temperature Sensors. Our offered sensor is widely acknowledged among our clients for its high sensitivity and precisely designed features. Temperature Sensor resistance temperature detectors are also known as resistance thermometers Auto Temperature Sensor, which measures the changing electrical resistance in some material with varying temperature. 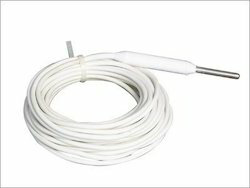 This product is completely made of platinum and hence widely used in many industries in thermocouples below 600°C temperature because of its high repeatability and accuracy. 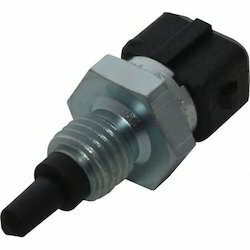 We are into manufacturing, a commendable assortment of Car Temperature Sensor. The team of engineers at our company has the experience of designing these sensors and other equipment and so they are capable of offering some of the most efficient sensors to the industries. These are available in different sizes to match the client's requirements and are widely demanded in various applications. 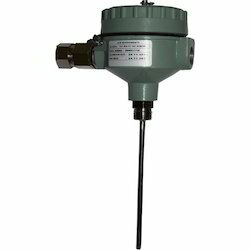 Our company has relentlessly pursued excellence in its endeavor by providing premium quality Temperature Sensors Transmitter. It is an electrical instrument that interfaces a temperature sensor to a measurement or control device Manufactured from the finest quality components and contemporary machines, this transmitter is also properly checked on numerous parameters at the vendors’ end. Also, we provide this transmitter in safe packaging material. 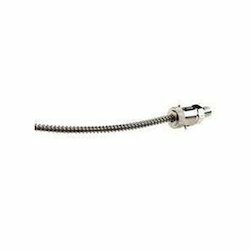 In our attempt to meet the various requirements of our esteemed clients, we are engaged in offering an optimum quality Cable type Sensor. With the help of our skilled professionals, we manufacture this sensor using high grade raw material and modern technology. Our quality examiners test this sensor against different parameters so as to ensure its quality. Moreover, clients can avail this sensor from us at nominal prices. 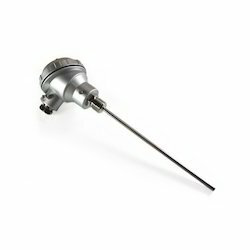 SECON Autoclave Sensors are specially designed for use in sterilization systems which require accurate temperature measurement. The conditions within the chamber of a steam sterilising autoclave are unlike those in any other application and traditionally very difficult to operate within experience in this area has lead us to the development of reliable chamber probes suitable to withstand these arduous conditions. 1. Gravity or "Fast Exhaust" cycle - For dry goods, glassware, etc. This cycle charges the chamber with steam and holds it at a set temperature for a set period of time. At the end of the cycle a valve opens and the chamber rapidly returns to atmospheric pressure. Drying time may also be added to the end of the cycle. 2. Liquid or "Slow exhaust" cycle - Used to prevent sterilized liquids from boiling, steam is exhausted slowly at the end of the cycle, allowing the liquids (which will be super-heated) to cool. 3. Pre-Vacuum cycle - For porous materials, animal bedding, etc. This cycle partially evacuates the chamber prior to introducing steam for greater steam penetration. Pre-vacuum cycles are not available on all machines.